Astronomy Now - Juno orbiter captures another stunning view of Jupiter | Astro What? NASA’s Juno spacecraft carried out its 16th close flyby of Jupiter on 29 October, sailing just 7,000 kilometres (4,400 miles) above the giant planet’s turbulent atmosphere. 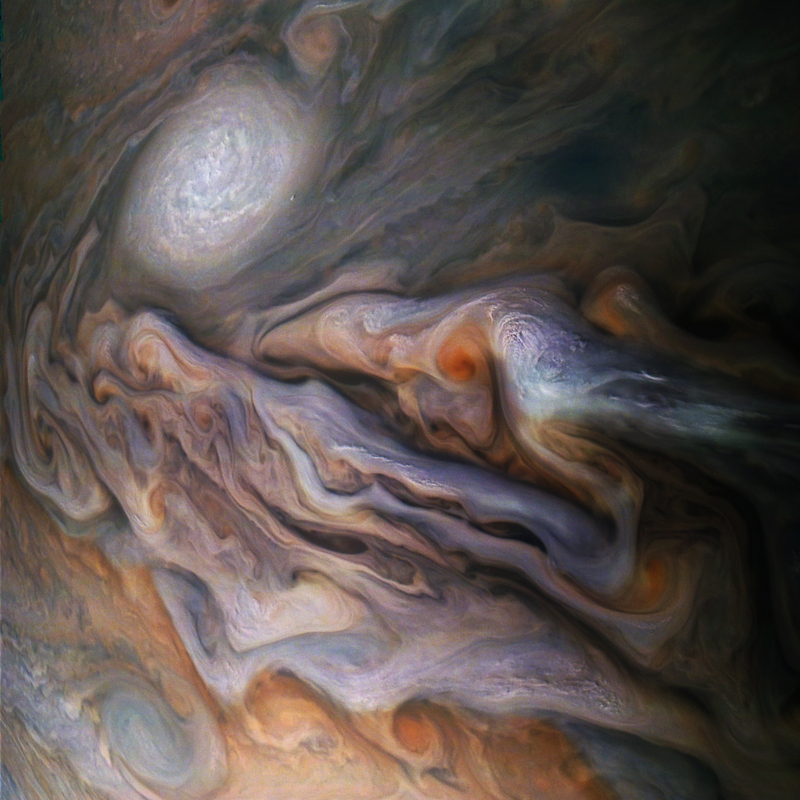 This Junocam image was processed by citizen scientists Seán Doran and Gerald Eichstädt, showing bright white “pop-up” clouds and a huge white anticyclonic storm in Jupiter’s North North Temperate Belt. The image is centred on a latitude of about 40 degrees north latitude. Junocam is a public outreach camera and its images are available on line for processing by interested citizen scientists.